The quest for Rwanda to eradicate poverty remains unchanged – with the latest poverty levels exhibiting very small variance compared to 2014 figures. 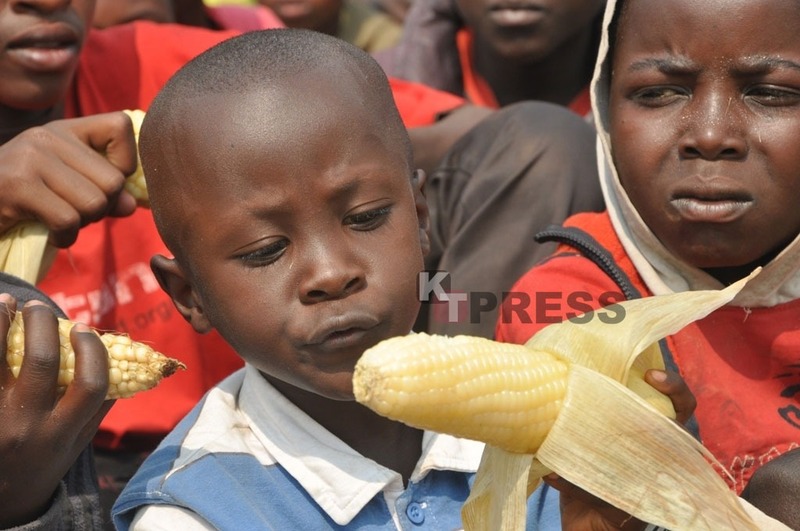 In its latest fifth Integrated Household Living Condition Survey (EICV5) released on Thursday, the National Institute of Statistics of Rwanda (NISR) said poverty in Rwanda decreased to 38.2 from 39.1 in the previous EICV4 – representing a decline of 0.9%. The key findings show that, the proportion of people who were poor in 2016/17 was 38.2%, compared to 39.1% in 2013/14 was not statistically significant. On the other hand, the latest report also shows a small downward change in the country’s extreme poverty which dropped by 0.3% to 16.0% from 16.3% in 2014. Generally, figures from the report indicate that poverty reduced by 18.5% in the last 12 years (2006-2017), while extreme poverty reduced by 19.8% in the same period. According to the report, proportion of workers among the working age population in EICV4 and EICV5 was almost the same in urban areas (76%) as well as in rural areas (89%). The low workforce to population ratio in urban areas as compared to rural areas is also reflected in the City of Kigali as compared to other provinces. While the workforce to population ratio in City of Kigali was 77% in EICV5, it ranges from 87% to 89% in other provinces. The Northern Province registered the highest increase (3% points) in workforce to population ratio between EICV4 and EICV5. According to the report, a person is poor if his or her level of consumption per capita falls below the poverty line. During EICV5, the main poverty line was set at Rwf159, 375 ($178) per adult per year in the prices of January 2014. NISR also measured extreme poverty using Rwf105, 064 poverty line per adult equivalent per year. Meanwhile, Western Province is ranked the poorest. Five out of seven districts in this province are among the last 15 districts with alarming numbers of extreme poverty. On the other hand, Kicukiro, Gasabo and Nyarugenge districts in the capital Kigali are respectively first, second and third districts with lowest levels of poverty. For instance, extreme poverty in Nyamasheke stands at 41.5% compared to 3.5% in Kicukiro district. Western province is followed by Eastern province which has 4 districts in the last 15 poorest performing districts in terms of extreme poverty. While launching the report, Rwanda’s Prime Minister Dr. Edourd Ngirente said that the figures released signals a need for all concerned parties to double efforts. “Today’s EICV 5 results call for doubling efforts by all stakeholders to end poverty. We must not continue to do business as usual. This involves the Government of Rwanda, all Rwandans, the Private Sector, Development Partners and Faith-Based Organizations,” Prime Minister said. One of the key measures to deal with poverty, said the Prime Minister, will be putting focus on the youth who contribute 70% of the country’s population. “Special attention will be put on our youth that constitutes about 70% of our population and therefore our strength to drive Rwanda to a knowledge-based status,” he said. Prime Minister said that the government will use EICV5 to better address its development agenda. “A proper planning always needs accurate, reliable and updated information in order to monitor and evaluate progress made on poverty reduction and other development attributes,” he said. The Prime Minister added that Rwanda will improve its human capital development; export dynamism and regional integration; well-managed urbanization; competitive domestic enterprises; agricultural modernization; and, capable and accountable public institutions, among others. Rwanda has set a target of creating 1.5 million off-farm jobs in the next 7 years.